From National Book Award finalist and the New York Timesbestselling author of The Year We Left Home comes a “powerful, beautifully crafted” (People) family saga about three generations of women who struggle to find freedom and happiness in their small Midwestern college town. A Cloud in the Shape of a Girl is a poignant novel about three generations of the Wise family—Evelyn, Laura, and Grace—as they hunt for contentment amid chaos of their own making. We see these women and their trials, small and large: social slights and heartbreaks; marital disappointments and infidelities; familial dysfunction; mortality. Spanning from World War II to the present, Thompson reveals a matrilineal love story that is so perfectly grounded in our time—a story of three women regressing, stalling, and yes, evolving, over decades. One of the burning questions she asks is: by serving her family, is a woman destined to repeat the mistakes of previous generations, or can she transcend the expectations of a place, and a time? Can she truly be free? Evelyn, Laura, and Grace are the glue that binds their family together. Tethered to their small Midwestern town—by choice or chance—Jean Thompson seamlessly weaves together the stories of the Wise women with humanity and elegance, through their heartbreaks, setbacks, triumphs, and tragedies. “Thompson’s new novel draws the reader in with character and plot…but what ultimately holds the reader enthralled is…her ability to capture the nuance of individual moments, thoughts, and reactions. No one writing today is better at this…[an] extraordinary novel” (Washington Independent Review of Books). 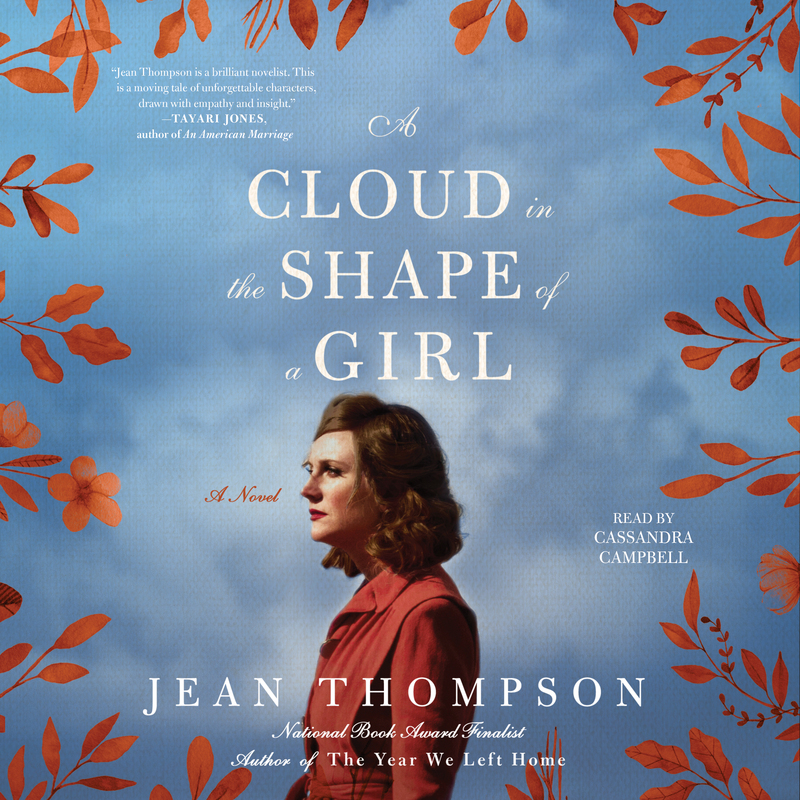 This reading group guide for A Cloud in the Shape of a Girl includes an introduction, discussion questions, ideas for enhancing your book club, and a Q&A with author Jean Thompson. The suggested questions are intended to help your reading group find new and interesting angles and topics for your discussion. We hope that these ideas will enrich your conversation and increase your enjoyment of the book. Evelyn set aside her career to marry late, and motherhood never became her. Her daughter Laura, felt this acutely and wants desperately to marry, but she soon discovers her husband, Gabe, to be a man who expects too much of everyone in his life, especially his musician son. Grace, their oldest, has moved out from Laura and Gabe’s house, but can’t seem to live up to her potential—whatever that might be. Three women face trials, small and large: social slights and heartbreaks, marital disappointments and infidelities, familial dysfunction, mortality. 1. Lilacs play a pivotal emotional role for each of the three main characters. In Victorian times, lilacs were given as a reminder of first love, and were often worn by widows. Their name derives from the Greek word for “flute,” a reference to the legendary origin of pan flutes. Why do you think author Jean Thompson chose lilacs as the flower of resonance for Evelyn, Laura, and Grace? 2. On page 5, Thompson writes “But this was the house where [Evelyn] had been a bride, a wife, and now a widow, and she had no wish to leave it.” What does it mean to Evelyn that these three words, “bride, wife, widow” are how she describes the trajectory of her life? Is that how she’d describe herself? How do those identities fit her? 3. The idea of Andrew’s archive at the university is introduced in Chapter 1 and actually visited by Grace in the final pages of the novel. Contrast the legacy Andrew left behind with this sentence from page 7: “His wife might not have her own archive, but she did have her own story.” Whose stories are most likely to have been committed to official memory? Why? 4. Evelyn and Laura change their names in marriage, and Grace changed her name as a teenager before settling on going by her middle name. Discuss the act of naming and re-naming as it pertains to female identity. If you’ve undergone a name change for any reason, discuss what it meant to you and how you went about it. 5. On page 35, Laura entertains some thoughts about what the world asks women to give up for their children and says “Everybody gives up something.” How do you think the expectations of motherhood shifted from Evelyn’s era, to Laura’s, to Grace’s? Do you think they’ve changed a lot, or a little? How about women’s reaction to those expectations? 6. During Evelyn’s interaction with Rusty, she realizes they might not be ideally suited. “An educated girl, she knew, was not always a welcome thing.” (page 63). How do Evelyn, Laura, and Grace feel about their respective college educations? Compare their interactions with the university and their uses of their educations. 7. On page 73, Laura thinks “I have lived my life sandwiched between two angry women.” Does this reflect Evelyn and Grace accurately? Inaccurately? How else does Laura find herself “sandwiched” in the narrative? 8. With her brother Mark far away, Laura is tasked with cleaning out Evelyn’s house, as Grace is later tasked with cleaning up her mother’s possessions. Discuss the role of “women’s work” in the novel. Which tasks fall to women? Why? Do you think that work is a reflection of natural affinity? Of tradition? Of some other reason? 9. On page 94, Laura observes the interaction between Gabe’s parents at her and Gabe’s wedding. What do each of the characters, most specifically Laura and Evelyn, learn about marriage from observing their parents? Do you think that one is destined to repeat the patterns of marriage observed in childhood? What sort of marriage do you think Grace will have, should she decide to get married, and how will it be influenced by the marriages she’s observed? 10. On page 143, Grace expresses her impatience with the past. Do you think that impatience is a character trait, or a natural state of her youth? 11. Laura reassures Grace on page 155 that it’s okay if she doesn’t turn out like herself. In what ways are daughters a reflection of their mothers’ priorities? Sons a reflection of their fathers’? Is the pressure related to the children’s gender, or can the expectations cut across gender lines? 12. “What a wonderful invention, the body” (page 164). When was the last time you felt such wonder at the complexity and reliability of your body as Grace feels when dancing at her brother’s show? When in the narrative do you see Evelyn and Laura feeling that wonder? 13. Both Evelyn and Laura first approach the men who will become their husbands. How do you view the role of taking charge in those instances as it relates to “destiny”? Do you think either of these women ended up with the men they were supposed to be with? Or does “meant to be” not enter into the equation? 14. On page 204, Laura says, “But if you want to know who really loves you, look around and see who’s still standing next to you.” Can you discuss the role Laura’s family plays in her final moments? Who is still standing next to her, and in what configuration? 15. What do you make of Les Moore’s character? What role does he ultimately play in Grace’s life? How does he compare with the other male characters that have impacted the lives of Evelyn, Laura, and Grace? Does he ultimately stand apart, or do all the men (Andrew, Gabe, Michael, as well as Rusty and Bob) share similarities? 1. Gather flowers from around your town, taking note of the types. Place the bouquet of flowers on the table or coffee table near your discussion. Take note of what the local flowers say about your town/state. 2. At Laura’s death, Michael plays “April Come She Will” by Simon and Garfunkel. Listen to the song together and discuss any emotions it brings up for you. 3. Serve an assortment of fun-flavored nonalcoholic sodas like the ones Grace brought to Thanksgiving. See who can bring the least familiar flavor. 4. Hand out printed reproductions of Guernica, the poster behind which Evelyn hides Rusty’s letter. What do you see in the painting? Why do you think the author chose such an image behind which to hide the letter? The three sections of the novel are entitled “Lilacs,” “Sacrifice,” and “The Girl of My Dreams.” How did those part titles occur to you, and how do you think they fit together? “Lilacs” provides a way to frame the different time periods of the story and to cue the reader that I’ll be transiting among them. (One character is cutting lilacs, another is planting them, etc.) “Sacrifice” focuses on family dynamics, and the roles the women play, and are expected to play, in keeping things going, often at the expense of their own desires and ambitions. “The Girl of My Dreams” is the epilogue that harkens back to the novel’s first generation. And, without giving too much away, it underlines the idea that Grace will be, finally, somebody’s dream girl, loved and valued. I also chose epigraphs for each section that are meant to evoke the historical past: the inscription on the 1929 Loredo Taft statue, the World War I poetry of Richard Dennys, and the 1911 song. On page 131, concerning Grace, you write: “She disliked her father’s anger and impatience as she disliked these things in herself. But neither did she wish to be her mother, who carried her complaints around in a basket and kept collecting more of them and was endlessly willing to be hurt.” Do you think that children necessarily gauge themselves against the models of their parents? Certainly. There are traits we inherit from them and behaviors we learn from them. Part of growing up is the necessary work of separating ourselves from our parents and learning to be our own person. Although there are those times later in life when the mirror ambushes us with that old resemblance, or we hear something that came out of a parent’s mouth come out of our own. Nobody gets away clean. On page 150, you write “You could make the case that the whole world actually was [out to get them], in certain ways, and especially for women of Evelyn’s generation.” Do you think the world has lightened up on women in the years between Evelyn’s generation and Grace’s? Yes or no, in what ways? Yes and no both. Shall we count the ways? Every time I see coverage of girls’ and women’s sports I quietly celebrate, since during my growing up years, there was neither coverage nor encouragement. More educational and career opportunities. More female doctors, professors, engineers, politicians, and CEOs where few existed, although there is underrepresentation and resistance, not to mention raging misogyny. More economic and personal freedoms in everyday life. On the other side of the scale: persistent pay inequities, attacks on reproductive health services. And the depressing catalogue of slights, dismissiveness, insults, threats and assaults, which never cease and seem so deeply rooted in our culture of pernicious entitlement, narcissism, and violence. Why did you choose to focus your narrative on three generations of women, rather than three generations of men or a mix of the genders? What about these three women specifically captivated you as subjects? Which of the women appeared to you first? Who do you feel you know the best? To answer the last question first, I expect I know Grace the best if only because she takes up the most pages, and I follow her through so many different events. She’s also the character whose story is still ongoing, so there is a different energy to her, and an optimism—though Grace herself does not spend much time feeling optimistic. To answer the rest: it’s simply easier for me to sustain female characters over the course of an entire book. Although from time to time I make myself write from the point of view of male characters, if only as practice in a kind of literary ventriloquism. I was interested in how different generations of women came to terms with the world and their places in it, and how that world might have both changed, and what had not changed. I don’t think I could have written about men’s aspirations and ambitions with the same authority. On page 180, you describe a knowing look that passes between Laura and Grace, an acknowledgment of “what would be required of each of them.” What role in each of their lives does nonverbal communication play? What is significant about this particular moment? Grace and her mother have a considerable history of non-communication, or missed communications, or actively avoiding communication, Things that one wished to say to the other but which were never voiced, due to awkwardness, a wish to avoid conflict, etc. Fears are often dismissed, and feelings denied. But for this one moment, at the start of a life-altering crisis, they know each other’s minds. What role does feminism’s second wave, coming during Laura’s adolescence and at the cusp of her adulthood, play in your characterization of her? What about the third wave as it relates to Grace’s characterization? Having lived through a number of waves by now, I tend to lose track of them, or perhaps they blur and smudge together. I would say that Laura retreats from anything strident or militant in her life choices; it’s simply not her nature. Third wave feminism often seems incoherent to me, a kind of anything goes rubric that allows for all sorts of behavior, as long as one is suitably wised-up about it. I’m not sure it provides much real guidance. Certainly Grace feels very much on her own in trying to navigate the world. To a certain extent, each of the characters is trapped in the university town. Why did you choose to place a university at the center of the town, exerting its gravitational pull? How do you view the role of the university in the characters’ development and relationships with the town? I live in a university town and have for many years, so it was an easy and organic decision. For Evelyn, the university embodies the scholarly calling she was not allowed to pursue. She resents her husband’s prominent university career and the social pressure to support him. Laura is more docile; education was only a process to complete rather than anything transformative. Now , ironically, she works for the Alumni Association. For Grace, the university represents the bewildering universe of possibilities, and a reminder of her frustrated unmet aspirations. Of course I could have set the novel anywhere, but the setting reinforced the story line of memory and history in a couple of ways. There’s a push-pull of both comfort and impatience at being part of a self-contained community where you’re a known quantity, and your own personal past is likely to surface at unexpected moments. Also, the university serves as a repository for institutional memory, for commemorating events and people who have gone before, as witness its memorials and its archives. How are the flowers discussed in the gardens bookending the novel (Evelyn’s garden and the memorial garden) particularly meaningful? Why did you choose to surround the characters with flowers, listed by name? the new and supposedly improved varieties, and so another harkening back to the past. As for the rest of the flower varieties, I indulged myself in the pleasure, experienced by anyone who has ever looked through a seed catalog, of imagining just what I’d want in a garden of my own, if I had unlimited resources, space, and expertise. On page 216, Grace wonders, “Wasn’t your life supposed to mean something?” Do you think each of the women’s lives “mean” something? Or are they just here? worship, service to others, etc. For the rest of us, I like what the Dali Lama says: the purpose of life is happiness. 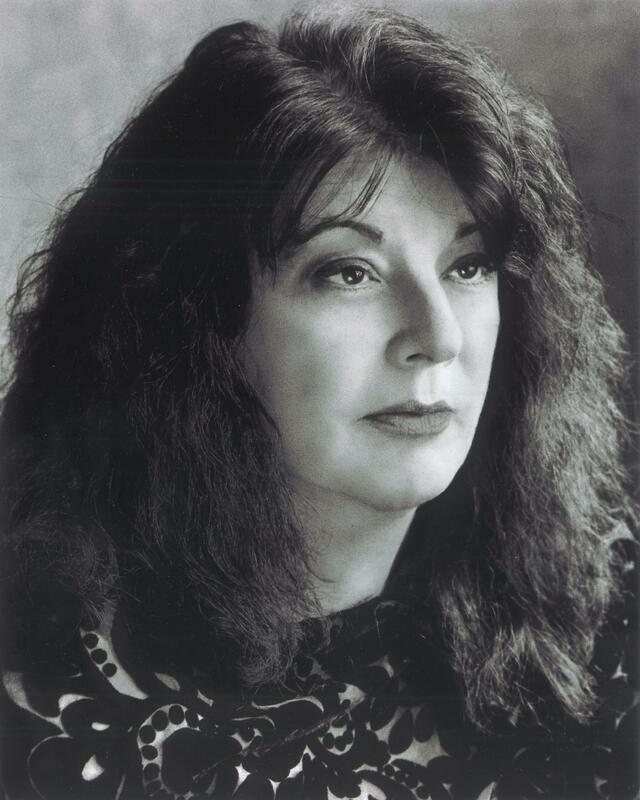 Jean Thompson is a novelist and short story writer. Her works include the novels A Cloud in the Shape of a Girl, She Poured Out Her Heart, The Humanity Project, The Year We Left Home, City Boy, Wide Blue Yonder, The Woman Driver, and My Wisdom and the short story collections The Witch and Other Tales Re-Told, Do Not Deny Me, Throw Like a Girl, Who Do You Love (a National Book Award finalist), Little Face and Other Stories, and The Gasoline Wars. Thompson’s short fiction has been published in many magazines and journals, including the New Yorker, and anthologized in The Best American Short Stories and The Pushcart Prize. Thompson has been the recipient of Guggenheim and National Endowment for the Arts fellowships, among other accolades, and has taught creative writing at the University of Illinois at Urbana-Champaign, Reed College, Northwestern University, and other colleges and universities. She lives in Urbana, Illinois.